Intermittent fasting is an eating pattern whereby you skip at least one meal within a day and compress your eating window to a certain number of hours. This certainly does not mean a caloric reduction, just a re-structuring of your eating times so that you consume (most likely) the same amount of food within a smaller timeframe. Intermittent Fasting has been found to be a key strategy for reversing hormone related dysfunctions such as insulin resistance, type 2 diabetes, and thyroid disorders. Its popularity is on account of its reported results, which include a in decreased body fat, stabilization of bio-markers like blood glucose levels, insulin, blood pressure and cholesterol. It naturally complements the banting / low carb / ketogenic lifestyle and promotes more rapid results for fat burning and weight loss. When you eat, you go into a “fed state”, which is when your body focuses attention and effort towards digesting food. Typically, the fed state lasts for about five or so hours after you finished eating your last meal. At this stage, you insulin levels are elevated, and your body is in “storage“ mode as it cleans out all the sugars from your bloodstream and assimilates nutrients into your cells. Simply put, you cannot burn fat whilst your body is in the fed state. Your body is too busy digesting, assimilating and absorbing, to spend any amount of time burning fat. Once out of the fed state and digestion and all its related processes have been completed, you go into a post–absorptive state, which is when your body is at rest from digestion, insulin levels are lowered and homeostasis is restored. About 8 – 12 hours after your last meal, you enter the “fasted” state. In the fasted state (or while fasting), your body’s energy requirements increase, but the absence of food forces your body to search internally for energy reserves, in order to keep functioning. The first port of call is stored glycogen (let’s call it residual glucose) stored in your liver. Following the depletion of your glycogen stores, you body starts eating up your stored fat to fuel itself. Yes, your body eating its very own fat – who doesn’t want that?! This is the premise for the use and success of intermittent fasting techniques. If you reduce your eating window to allow your body to reach a fasted state after your last meal, you reduce your overall insulin load and are able to burn through your body fat on a daily basis. When we start eating soon after waking up, and continue eating until we go to sleep, we spend almost all our day in the fed state. Easy to see why, over time, we will gain weight. We have not allowed our body any time to burn food energy. When you fast, several things happen to the cells and molecules in your body. Your body alters the balance of hormone in order to maintain homeostasis and make fat stores more accessible as an energy source. Your cells also initiate important repair processes, and change the expression of genes. What conditions benefit from Intermittent Fasting? Insulin resistance – Intermittent fasting can reduce insulin resistance, lowering blood sugar by 3-6% and fasting insulin levels by 20-31%. Doing so also reduces the prevalance of type 2 diabetes. This involves daily fasting for 16 hours, with an 8 hour window for eating, meaning you eat all your meals within an 8-hour time period and fast for the remaining 16 hours. For most people, this means skipping breakfast, although you could skip dinner as well. For example, you may eat all your meals within the time period of 11:00 am to 7:00 pm. Your fasted state takes place overnight while you sleep, going into the next morning. This involves a 4-hour eating window and a 20-hour fast. You might eat between 2:00 pm and 6:00 pm every day and fast for the remaining 20 hours. The number of meals you consume within this window does not really matter and you would respond to your body’s needs. On this protocol, you follow a 24-hour rotation of low-calorie intake and normal-calorie intake. You basically eat normally on one day, and skip all meals on the next day, to eat normally again on the third day etc. You basically eat every 2 days, similarly to most species of untamed animals in the wilderness. This approach was popilarised by Dr. Michael Mosley in his book ‘The Fast Diet’. This involves 5 regular eating days and 2 fasting days. However, on these two fasting days, you are allowed to eat a maximum of 500 calories on each day. These calories can be consumed at any time during the day – either spread throughout the day, or as a single meal. If you would like to experiement with Intermittent fasting, start with skipping one meal a day (normally breakfast) and keep it up for at least a week to determine how you feel on the regimen. Once you are confident and have been assured that you will not indeed die, from skipping one meal, feel free to try out any of the other protocols to find the one that will best work with your lifestyle. Give yourself one month – start with a week then build up as you become more confident. Get a free copy of my Banting Basics eBook and join our community. Congratulations on starting your Banting journey! This is a critical decision that will see you go from illness to wellness through a low-carb lifestyle, whilst re-educating yourself about your health and re-discovering what really makes your body feel good. You’ve been added to our mailing list and will be amongst the first to know about new articles and featured products on our site. You can also follow us on Instagram for some great meal ideas, by following the handle @banting.foodie or hashtag #bantingfoodie. 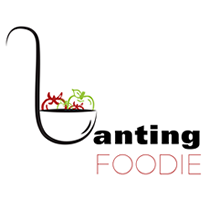 If you’d like to contact us for more information, you are welcome to direct an email to info@bantingfoodie.com Cheering you on!